The Great Enclosure of Great Zimbabwe – 14th century African ruins or alien landing strip? Zimbabwe is like a riddle wrapped in an enigma wrapped in a vest. The conflicting messages are everywhere – the scout trip spending Heroes Day visiting Cecil Rhodes’ grave (the namesake for the country their heroes defeated), the overgrown pasture lands that were once part of the most productive commercial farms in Africa, the new (white) lodge owner who was ran off his previous property here a decade ago by ‘war vets’ (or wovits) remarking on how much better workers Zimbabwean blacks are to others in Africa, the police roadblocks that make no signal to stop or go as you get closer shrugging your shoulders in confusion – it is hard to get your arms around. Usually, understanding the history (recent and distant) of the places I visit helps illuminate them but here I think it only confused me more. 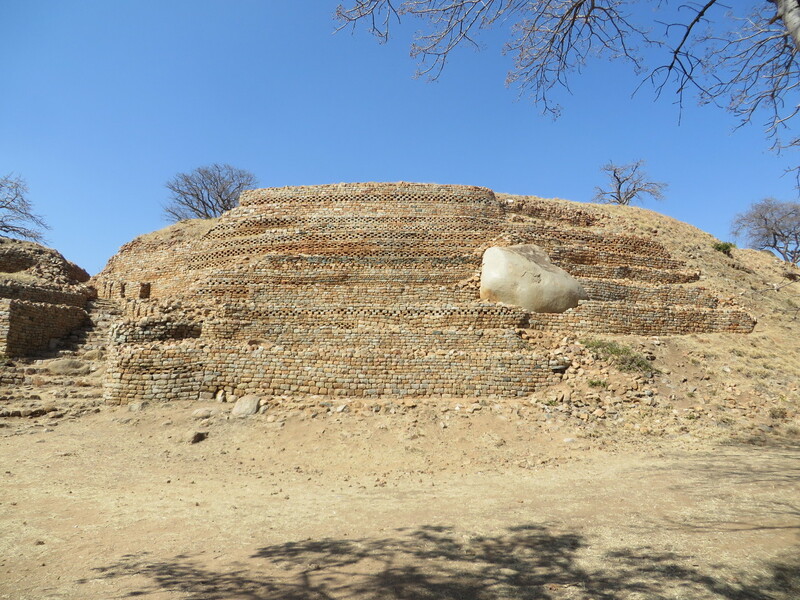 We’ve spent the last week exploring the past and present of Zimbabwe – spanning from ~10,000 year old rock painting through Middle-Ages kingdoms of Great Zimbabwe and Khami to today’s modern bustle of Bulawayo, haphazard towns like Zvishavane and slow moving villages everywhere. 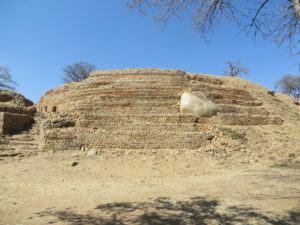 In that time we visited Zimbabwe’s three cultural UNESCO World Heritage sites. 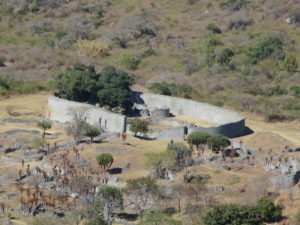 The ruins at Great Zimbabwe and Khami were fairly impressive, so much so that in Rhodesia it was the law that you had to teach the alternative theory that Great Zimbabwe was the Biblical city of Ophir alongside actual archaeology – because it couldn’t possibly have been built by ancestors of local Africans (it’s nice to know that certain Americans aren’t the only ones insisting on teaching alternatives to knowledge). In Zimbabwe, of course, that isn’t the law – but I am told you can still find textbooks in use that teach it because the funds for modern ones don’t exist (or don’t make it to textbook purchasing). The people have been friendly (even the police who generally waved us through their roadblocks or sent us on our way once they realized we weren’t Namibian or South African) – most inquire about our experience here and seem genuinely interested in ensuring we enjoy our stay in their country. 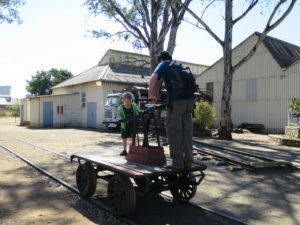 This has been true of those we met whether they were on family holiday for the long weekend, guards with whom we confirmed the event going on at Great Zimbabwe was indeed a wedding or the curator at the excellent Rhodesian Railway museum in Bulawayo (the kids really enjoyed playing hobos on the rail trolley). I had been warned, mostly by South Africans, more than once to expect to be harassed in this country at every corner but that hasn’t been the case – aside from the couple of earlier incidents with police and a few beggars around us in towns it has been minimal. In Matobo Hills (the third cultural UNESCO site due to the plethora of San rock art sites and Rhodes’ grave) we happened upon two soldiers on poacher patrol in the game viewing hide – they spend two weeks in the bush staying near the rhinos with orders to shoot poachers on sight (these two have been in at least one firefight two years ago in Hwange). They let us know that we just missed two rhinos (Eliav’s favorite animal and the reason we bothered with a game drive here at all) that had gone into the trees and tall grass to rest. 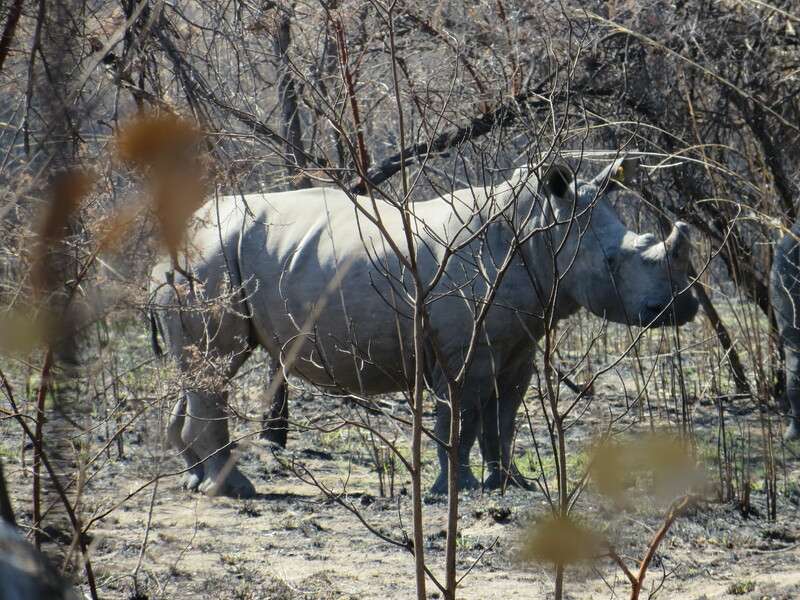 However, concerned that we not leave Zimbabwe with any negative experience, they were not content letting us come all the way from America to their country to not see their rhinos. 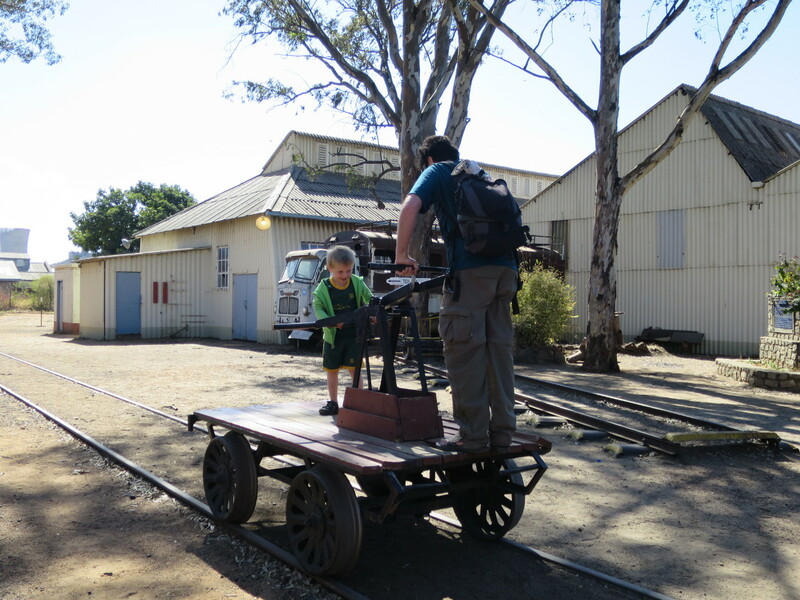 So, despite it being against regulations, they took us on foot to track them – it was very nice of them. Approaching large game on foot is exhilarating and thrilling and I am very glad the kids got to experience it – no outfit I contacted, and I contacted most, would have taken them because of their ages. 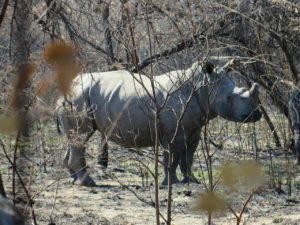 Once we could navigate upwind of them we were able to get within 15 yards of the two white rhinos; it was very exciting for the kids and for us. We are leaving Zimbabwe today having had truly memorable experiences here – but something in this country just feels off. The scars of its turbulent past are there but don’t shine through in the ways I have seen elsewhere (be it Burma, Rwanda, Mozambique etc.). Maybe it is all because the country happened to have the wrong Fort Hare graduate end up leading their revolution but I get the sense it runs deeper than that. In any case, we are moving back into Botswana, avoiding the infamous Beitbridge border, and making our way south towards the Limpopo over the next five days.